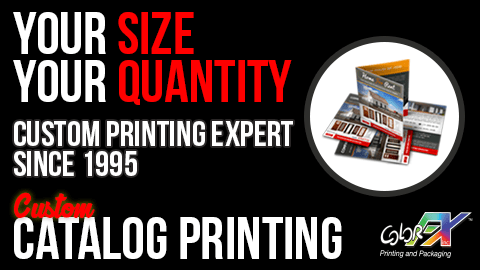 Large selection of paper stocks for printing, as well as a number of coating options, depending on your selected stock. Virtually unlimited combinations of custom sizes and orientation for a distinctive look. Choice of binding, including saddle stitching, perfect and spiral binding or wire-o. 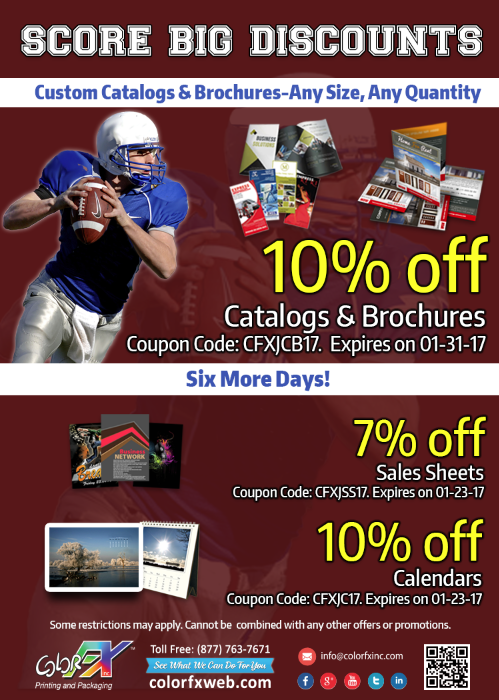 Act Now-Three More Days…Save 15% on Brochures, EDDM Postcards, Banners at Colorfxweb.com. 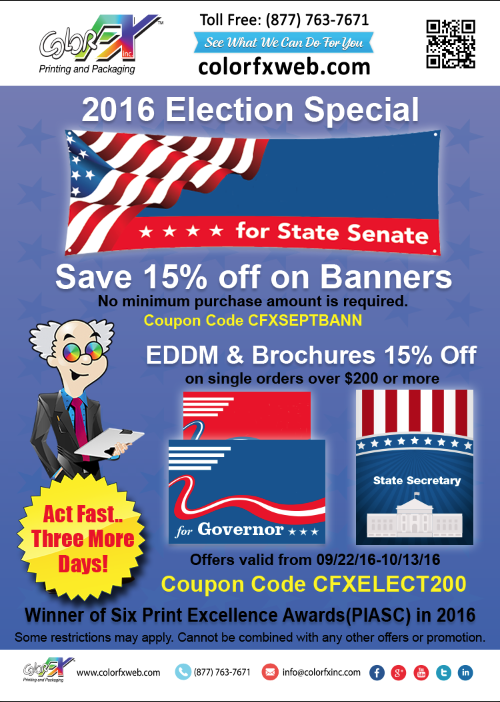 Coupon Code: Brochures & EDDM: CFXELECT200. On a single order over $200 or more. Coupon Code: Banners: CFXSEPTBANN. No minimum purchase is required.